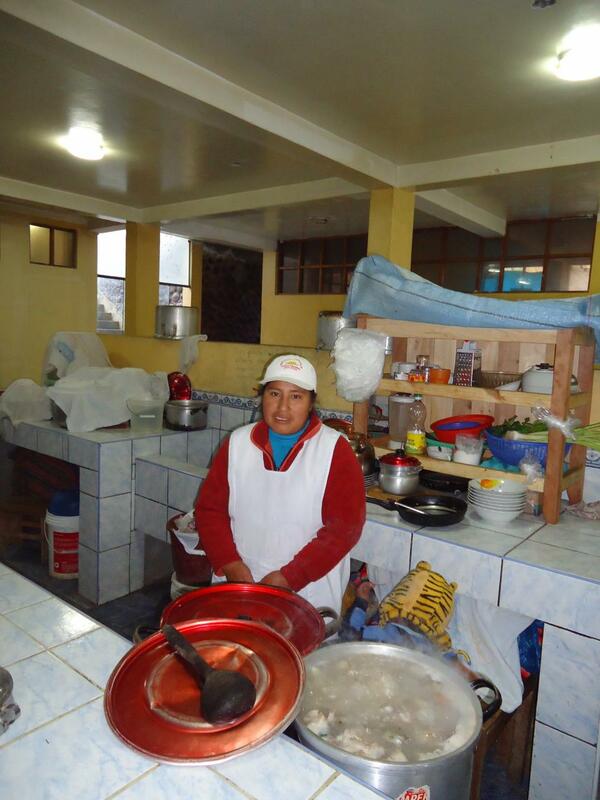 A loan of $725 helped to purchase ingredients such as vegetables and meat. Marcelina sells food in the city of Challambamba in one of the town's markets very early in the morning every day. This time she needs a loan to purchase ingredients such as vegetables and meat. (This loan is part of a line of credit of Arariwa "Credi Yapa" Association, which allows borrowers with good credit get a special loan, a small loan and in addition to their regular loan). She appreciates and values the loan and agrees to fulfill the payment of her monthly installments with great responsibility. Translated from Spanish by Kiva volunteer Joyce Bogner-Bohn. View original language description. Marcelina se dedica a la venta de comida en la ciudad de challambamba en uno de los mercados de la ciudad antes mencionada desde muy temprano y todos los días y en esta oportunidad requiere el préstamo para comprar insumos como por ejemplo verduras y carne. (Este préstamo es parte de una de las linea de créditos de la Asociación Arariwa "Credi Yapa", que permite a los prestatarios con un buen historial crediticio recibir un especial préstamo: un pequeño préstamo y además de su préstamo regular.) Agradece y valora el préstamo y se compromete a cumplir con el pago de sus cuotas mensuales con mucha responsabilidad. About Asociación Arariwa Asociación Arariwa is a large non-governmental organization that started offering microcredit in 1994 to improve the quality of life, skills and equity of the population in the rural Cusco region of Peru. Arariwa serves the southern Andean provinces of Peru, and is distinguished by its efforts to reach the very poor, who often live in isolated rural areas. Arariwa fosters village banking, supports savings accounts, promotes access to education, and empowers women entrepreneurs (who make up 78% of its borrowers). Kiva works with Arariwa because it is a well-respected NGO with extensive experience in rural microfinance. The organization's focus on rural populations is also directly in line with Kiva's social mission to extend opportunity to the world's poorest people. We love that Arariwa's village bank products target women, and that its credit services promote and respect local cultures and traditions. Instead of expanding rapidly to increase profits, the organization is dedicated to meeting every client's needs. By providing zero-interest credit, Kiva allows Arariwa to make long, costly trips to the isolated, rural borrowers who need help most. We're thrilled to help Arariwa extend its reach into underserved Andean communities.